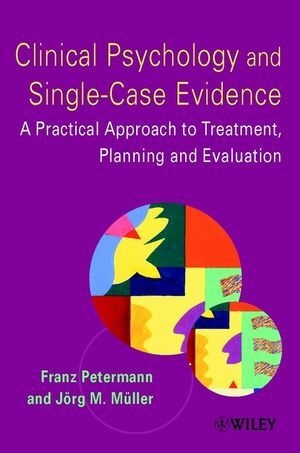 This book focuses on the importance of learning from single caseevaluation of the therapeutic process, an approach which is veryappropriate to the current demand for evidence based, managed care. A practical and realistic approach for practitioners to combinetheir scientific and clinical objectives of advancing knowledge andimproving treatment. Franz Petermann and Jorg Muller, both of University of Bremen, Germany. Quality Assurance in Mental Health. Controlled Practice as Quality Assurance. History of the Single-Case Approach. Illustrating the Steps of Controlled Practice. Diagnostics: A Graphical Problem Description. A Documentation System for Controlled Practice.